BUYING TWO for ONE PRICE! 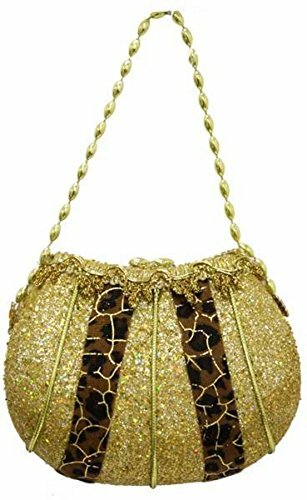 Ladies' Purse Fanatics and Purse Ornament Collectors will love this miniature purse 5" x 4" with animal skin fabric print and lots of gold glitter. Check for the JMB listings for 3 different styles of coordinating glittered high heel shoes. These will not last long they are so cool! Two (2) Christmas Ornament Purses 5" x 4"
Use for tree ornaments, child's gift, children's tree, etc. Sold these purses at 8.95 in 2016! Selling remaining stock at great reduced price! If you have any questions about this product by Ren 2000, contact us by completing and submitting the form below. If you are looking for a specif part number, please include it with your message.